Paris Hilton bought one of her pets a $300 cashmere sweater with pearls embedded on them. But not everyone is Ms. Hilton, and neither do they have the means to splurge as such. However, here are some of the things you can, and must take care of when caring for your precious, furry friends. Cats can get lazy and easily become fat. Give it 'safe' toys to play with to ensure that it has regular exercise. Cats prefer small, frequent meals. Don't limit its meals to household food; giving it occasional treats of commercial cat food can ensure that it gets proper nutrition. Bathing your cat once in a fortnight will be good enough. How do you prevent your cat from scratching your favourite carpet or couch? First, note the choice of your cat (e.g. location, material), then, put a similar material on the same location for your cat to scratch. Meanwhile temporarily cover the items you don't want to get scratched and consistently disallow it to reach for them. Eventually your cat will understand and let go off your precious items. Another word of wisdom - never put fragrances in the litter-box, as it will repel the cat. To avoid the odour, put some baking soda on the bottom of the litter box. Train your dog - it will do anything you ask. Training will save you a lot of trouble, for instance it'll behave well with strangers and excrete in designated areas only. Play with it. It needs your time and love. Go for walks everyday. Here's a general rule - the shorter your dog's legs, the lesser the distance it is required to walk. Set the time frame by stopping when your dog starts panting excessively. If your dog stays indoors most of the time, consider giving baths less frequently e.g. once a fortnight or a month. Dog shampoos are available at a number of stores in the city, but you can also use any ordinary shampoo. Make sure soap is not used, as it tends to harm the texture of the fur. If your dog retains odour after taking baths, lower the fat content of his diet as the smell is usually from the excess oil in the dog's skin. Puppies should eat more frequently than adults. Keep away any fragrances from your birdie. It needs lots of attention; it is intelligent as well as emotional. Remember that your bird is a morning 'person' and needs to breakfast early. You also need to clean the cage daily, to maintain hygiene and avoid diseases. To put your bird out of the cage, gently stroke its lower abdomen with a finger and it will automatically jump on it. The food plate should never be empty as birds eat in little bits throughout the day. 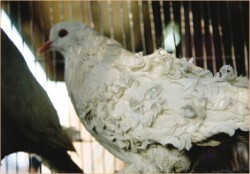 When you handle birds, take off any shiny material from your clothing as this can make them restless. Also, talk to them with a smiling face, in a very calm, soothing, but firm voice. Birds are very vulnerable during winter so don't forget to cover the cage with a sack during the night. 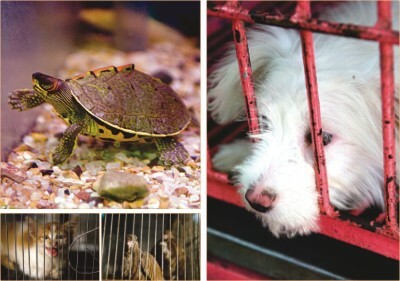 Be generous and provide these cute creatures with a big cage. It is also important that you let them out of the cage for at least 2/3 hours everyday. Ensure that they cannot access electrical cords, as they love chewing. If the cage has wire flooring, you must put a cardboard since rabbits don't have protective pads like dogs and cats. 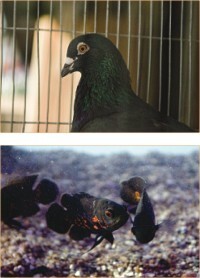 They are very friendly animals, but play with them only during dawn and dusk. Day and nighttimes are for rest. Don't cuddle them as it puts them way out of their comfort zone. Put support on their button and belly when you pick them up- they are extremely delicate creatures. Although they love vegetables, never give them cauliflower, broccoli or cabbage. BEWARE: never give baths to rabbits; running a wet cloth to keep them clean could be an alternative. Accept it: fish bowls are no good- they are difficult to clean and more importantly; they have very little surface area for gaseous exchange. 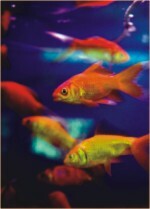 How often should you clean the aquarium largely depends on the population, the kinds and sizes you have. The amount and frequency of food also depends on this. Consult your pet shop for advice. Don't replace all the water contents from your tank altogether. Never change more than 40 percent of the waters at a time- your fish will have a bad time adjusting when you introduce them to completely new waters. Whether your pet is a cat, dog, bird, or rodent, make sure to have it examined by a vet soon after you have bought it. The pet-doc will tell you all about the vaccines and other important 'do's and 'don'ts.' You can have your pet examined at Central Veterinarian Hospital (48 Kazi Aladdin Road, Dhaka) or, you can call a vet to pay a home visit. The pet shops on Kataban will happily give you many vets' visiting cards. They say a dog is a man's best friend. Truly, pets and animals enrich our lives in ways we cannot even fathom. This week, we look at our furry, feathery, and scaly friends, and how to keep them happy. Winter has flown by, and in just about no time, it will be Spring again. Now, a change of season, though welcome to many, does bring with it some challenges in the form of ailments. It is time we prepare ourselves for ailments such as conjunctivitis, eye allergies and infections and chicken pox. Because our body gets used to a certain type of climate, the change of season brings with it illnesses for those who cannot cope or keep up with the change. While all the above-mentioned sicknesses do not have any prevention, they can be managed. Both conjunctivitis and chicken pox are contagious, so it is up to the affected people to ensure that they do not go around spreading illness. It is important that the illness is diagnosed early, and this can be done if the symptoms are known. The symptoms of conjunctivitis, or 'pink eye' as it is more commonly known, are redness in the eyes, sensitivity to light, dryness, watering of the eyes, and sometimes a sticky discharge that may cause eyelashes and eyelids to become stuck together. The eyes become red and swollen and seem to be filled with sand. Conjunctivitis is highly contagious, so it is important not to share towels, washcloths, or pillowcases. All of these should be washed regularly. If you use makeup, discard any you were using when you got conjunctivitis, as it is probably contaminated and is an easy way to spread it to your other eye. One other thing to remember is that if the conjunctivitis comes with a cold sore, you should check with the doctor to ensure whether or not he or she has contracted Herpes in the eyes. Generally, mild cases of conjunctivitis blow over in a matter of days. Chicken pox is another such spring disease, and also has to be seen out rather than cured. Chicken pox is an extremely infectious disease that produces an itchy, blistery rash all over the body, which lasts for about a week. A single attack of chicken pox usually provides lifelong immunity against the disease. Symptoms include a mild fever and a general feeling of discomfort. Within several hours or days, small red spots begin to appear on the scalp, neck and upper half of the body. Within twelve to twenty four hours, the spots become fluid-filled, itchy bumps which continue to appear over the next two to five days. We will all enjoy spring, but those of us who are struck down temporarily by these diseases should ensure that we do not ruin the start of the season for others by being mindful of the contagious nature of the diseases, and taking necessary precautions.